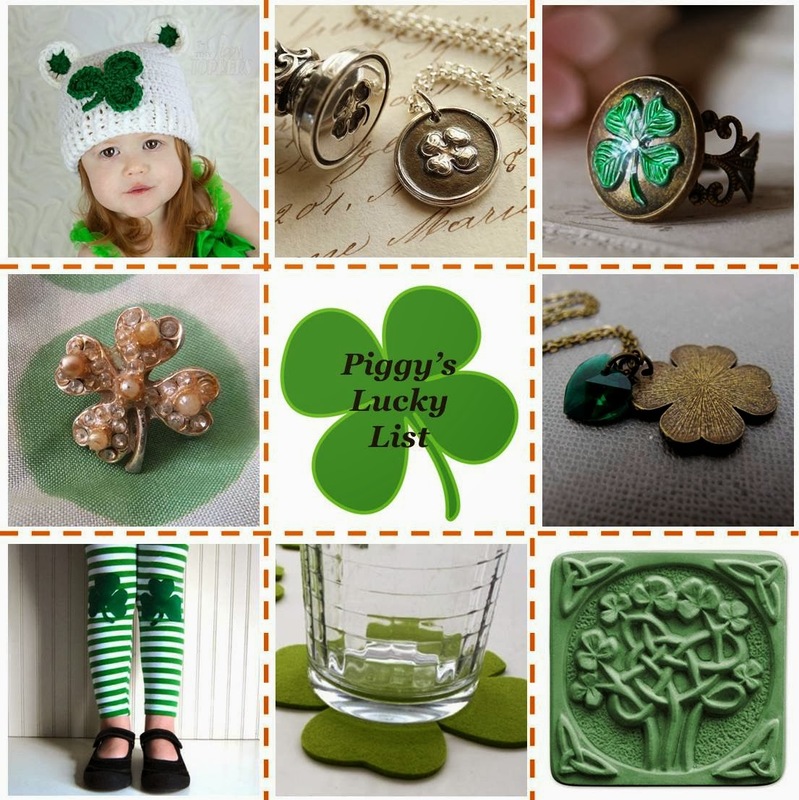 Clovers or Shamrocks are symbols of good luck and also St Patrick's Day which is just round the corner! (17 March). March is a great month for me, not only that it is my birthday month, I will also be taking a trip to Australia to visit my sister and attend my brother's graduation in a week's time. Perfect excuse to get gifts for my sister, brother and I! Crocheted Shamrock Clover Bear Hat US$26.00 - Totally adorable for your little one! If only there is winter in Singapore, I will definitely get it for Baby A. Four Leaf Clover Victorian Wax Seal Necklace US$40.00 - There is just something about wax seal that makes it so English. Love this beautiful necklace! Clover Ring. Shamrock Ring US$20.00 - Green against brass. makes me think of green beer! Clover of Love II Necklace US$20.00 - Another green against brass! Perfect matching necklace for the ring! Celtic Clover Soap Mold US$8.25 - Gorgeous mold to make lucky green soap for a perfect St Paddy's party! SHAMROCK Coasters US$16.00 - Another addition to the great St Paddy's party! Perfect coaster to hold that green beer. Leggings Irish Shamrock US$29.00 - These leggings would make a perfect St Paddy's outfit. 50's Vintage 4 Leaf Clover Brooch US$6.00 - Love this vintage brooch. It is going for a great price too! (Although shipping is abit costly, might be due to the insurance) Nevertheless, the brooch is super delicate and cute.